LG GC900 Louvre is a concept model with a 12MP cam that will take advantage of Scheider-Kreuznach optics and equipped with xenon flash for nicer images in low-light conditions. Other features include HD video capturing capabilities at resolution of 1280x720 pixels, 30 fps and support for auto/touch focus, which isn’t something that innovative. 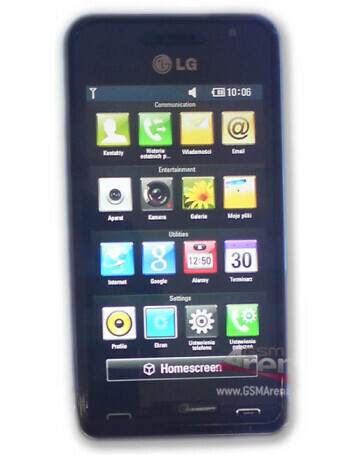 The LG GC900 Louvre mounts a 3.2-inch touch-sensitive screen, which is slightly better than the 3-inch displays of the ARENA and the Viewty Smart. In addition, users will be able to use Wi-Fi (plus DLNA support), TV-out and GPS.